Design, supply and install a new mixed age plaground and swing unit to replace the ageing unit in the playground space. Brandwood Gardens is a community park area surrounded by native bushland in a residential area of Leeming. The natural setting made our Rustic range the perfect choice for the space and the bright orange, blue and lime green colour scheme ensured the new playground would be noticed. The large 9 platform structure has 2 large slides and plenty of climbing and play opportunities for children of all ages. The back section has flexible nets and traditional upper body apparatus that encourage older users to complete the challenging circuit on their own or with friends. 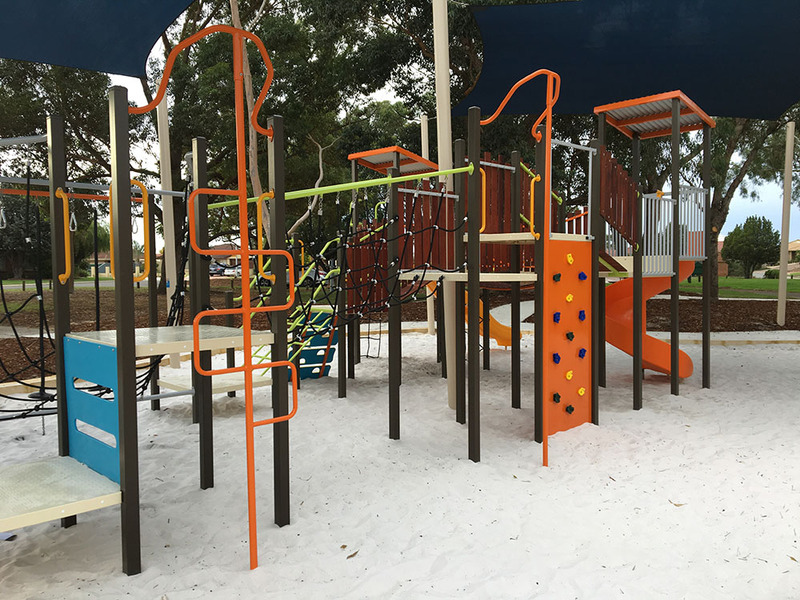 The ever popular double swing can be used by children and parents alike.The addition of dark blue shade sails, a new limestone retaining wall and fresh white washed sand certainly makes this Playmaster playground a feature of the park. 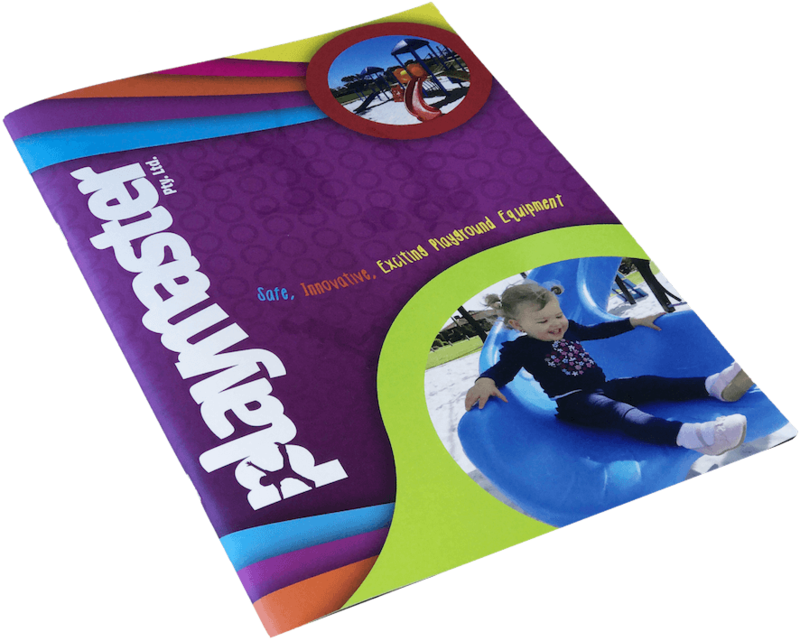 Playmaster have been manufacturing and installing a wide selection of commercial playground equipment Australia wide since 1999.